You would think that it’s hard to miss a giant red-brick building in an area full of cream and white houses but it’s easily done. In fact, those not in the know already find it quite easy to miss the Montpelier & Clifton Hill Conservation Area altogether. Roughly speaking, the Conservation Area covers the triangle between Dyke, Montpelier and Western Roads. The area doesn’t offer many simple cut-throughs so it’s easy to miss the area containing some of the prettiest streets and buildings that you’ll ever see. 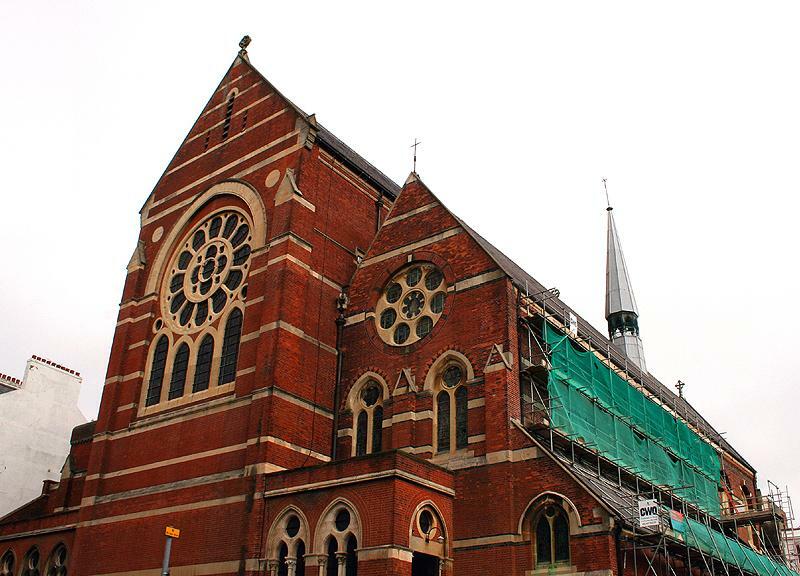 St. Michael’s Church sits at its heart on Victoria Road close to the stunning Powis Square and Montpelier Villas. It was originally built as a much smaller church in 1858-62 by George Bodley in an Italian Gothic style. Plans were soon made for a significant enlargement by William Burgess which came to fruition in 1895 after his death. The original church became the south aisle and side chapel of the new much larger church. The imposing red-brick exterior with stone dressings is certainly quite something but it is the interior that is most impressive. 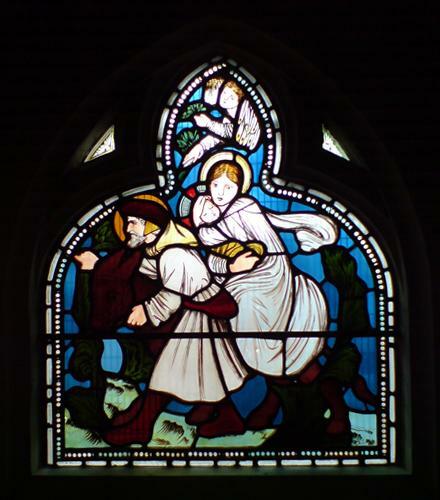 That’s not quite true as I’m thinking specifically about the church’s famous stained glass windows by William Morris and other Pre-Raphaelites which, I suppose, are both internal and external. When the light is right, the effect is superb. However, the interior, especially its intricate stonework, is overall of the highest quality and well worth a look. There are only several Grade I Listed Buildings in Brighton & Hove and St Michael’s, or St. Michael & All Angels Church to give the building its proper name, is one of them. The Royal Pavilion, Brunswick Square, Brunswick Terrace, Sussex Square, Lewes Crescent and Stanmer House are all examples of other Grade I Listed developments. There are many Grade II Listed Buildings though not so many Grade II* which is the category between I and II. Although local councils can lobby for a building to be listed, it is decided by the Secretary of State for Culture, Media & Sport. Father Robert Fayers runs the church fantastically and is always extremely welcoming. The Friends of St. Michael’s are on the look-out for volunteers to help with tours. If you can help then please see www.saintmichaelsbrighton.org for contact details. If architecture or religion are not your thing, then be sure to at least check out the Saturday morning fry-ups from 9-11am – divine! I mentioned last week that I would be writing about skyscrapers. Frankly, it’s impossible to write about New York without mentioning them! New York is famous for its grid layout but the city’s most famous road runs contrary to the rule. Broadway snakes quite haphazardly across the grid, all the way from the top to the bottom of the island of Manhattan. My favourite New York building prior to my recent trip was the Flatiron Building on the corner of Fifth Avenue and Broadway. 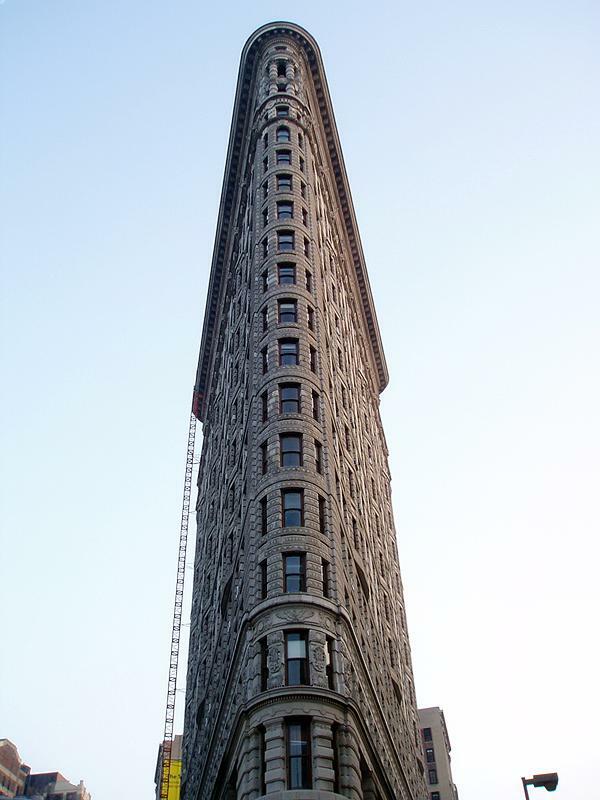 Due to Broadway running diagonally at that point, the Flatiron Building sits on a triangular plot; hence its unique shape. Spiderman fans may have spotted it in the two recent films as the Daily Bugle’s headquarters. It remains my favourite New York building today. Between 1899 and 1974, various New York towers held the record of world’s tallest. The Park Row Building, the Singer Building, the Met Life Insurance Tower, the Woolworth Building, 40 Wall Street, the Chrysler Building, the Empire State Building and the World Trade Centre North Tower all held the title at one time or other. There is much debate as to what constitutes world’s tallest though. Many believe that height should not include roof masts. I managed to see all of the above except the Park Row Building and the demolished Singer Building though obviously it was only possible to see the Twin Towers’ wreckage. The most impressive moment of the trip was the alternative gallery at 7 World Trade Centre which I actually saw on 9/11. The building sits just outside the site of the Twin Towers and has been recently rebuilt following destruction on 9/11 five years ago. The free gallery features photographs of many touching tributes to the public servants of New York who perished in the attacks such as tattoos dedicated to firemen and graffiti commemorating police officers. The Art Deco style is prominent in New York and can be seen at its best on the Chrysler and Empire State Buildings. Disappointing, though admittedly it was partly my fault, I was not overly impressed with the view from the top of the Empire State. I had planned to get up there just before dusk so that I could see the city from above by day and night. It took so long to queue and get through security that I only got the night view – still pretty amazing though! 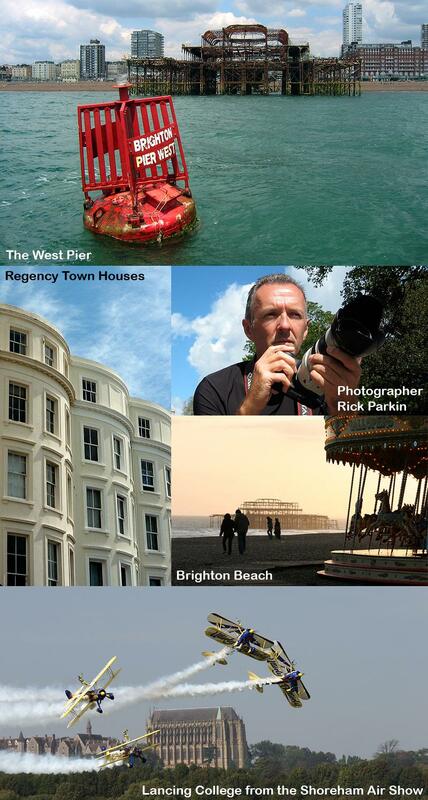 To celebrate the Brighton Photographic Festival, Latest Homes asked all of their regular columnists to submit just photographs instead of written articles. I decided to hand over this task to my colleague and regular contributor, photographer Rick Parkin. The West Pier, the proposed ‘Brighton Eye’ i360 tower, the derelict Bandstand and the large lump of tarmac in front of the Metropole that was once a paddling pool all draw regular press coverage. But, what about the fabulous Regency Square Conservation Area in which they are all situated? The Regency Square Conservation Area is pretty much everything between Embassy Court, the Grand Hotel, Western Road and the sea. 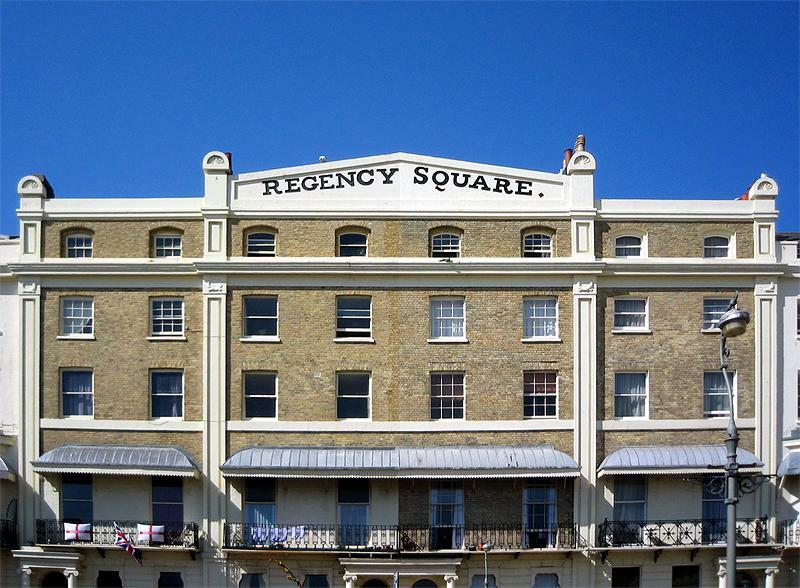 Regency Square itself was built from 1818-28 and was the third large set-piece development in town following Royal Crescent and Bedford Square. Jane Austen’s Pride & Prejudice describes the way in which young ladies were attracted to Brighton for the soldiers. It is referring to, in part, the 10,000 troops who were stationed in 1793, a time of unrest across the English Channel, on Belle Vue Field – the site that became Regency Square. Joshua Flesher Hanson, the owner of Belle Vue Field, laid out 70 building plots which were quickly snapped up by individual developers. Each had to conform to approved specifications such as bow fronts and stucco on the ground and first floors with yellow brick above. The Square’s uniform balconies, canopies and entrance porches are explained by this strict code. By 1828, most of the work was complete. Two of my favourite architects, Amon Wilds and his son, the prolific Amon Henry Wilds, are thought to have designed the majority of the buildings. Amon, along with Charles Augustin Busby, built Lewes Crescent and Brunswick Square. Amon Henry was responsible for, amongst other things Hanover, Park and Montpelier Crescents. The stunning buildings around Regency Square are either Grade II or II* Listed as is the Portland stone cenotaph at the bottom which is the Royal Sussex War Memorial. It was unveiled in 1904 to commemorate the deaths of the 152 men of the regiment who died in the Boer War of 1900-02. This isn’t the only memorial in the Square though. There are also several pretty plaques including an excellent example well-hidden behind the umbrellas of the Regency Restaurant (No. 1) commemorating the life of Harrit Mellon, Duchess of St Albans. The flats and hotels of Regency Square today surround 1.56 acres of gardens. An ugly car park lies beneath the lawns that was constructed in 1969 at a cost of £523,000 for 520 cars. The soldiers certainly let their guards down to allow that monstrosity to be built!